If you want to get close to nature, there’s no shortage of places to visit in Oklahoma. Experience some of Oklahoma’s abundant wildlife in its natural environment, and become more knowledgeable about your local ecosystems. Nature centers across the state are fun for the whole family. Here are 10 of the best places to go in the state to learn more about the plants and wildlife that make its home here. Martin Park has 2.5 miles of trails, a visitor center with live animals and bird watching blind. It’s hard to believe this serene woodland area is located in the big city. One of the best things at this nature center in Tulsa is the Monarch Nursery. Through July, you can catch Monarch butterflies in different stages of development. Bring your camera to take pictures of dragonflies and wildflowers. 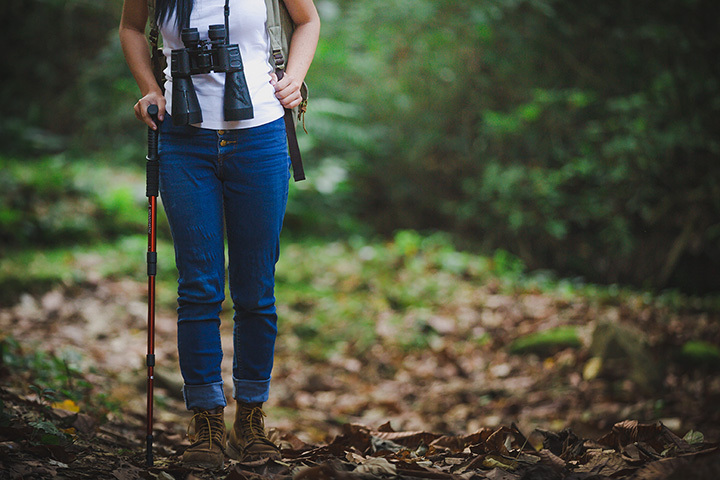 Hike, bird watch and even look for fossils. Located on Grand Lake near Grove, Bernice State Park is a campsite for RVs and tents right on the waterfront. The park also hosts a nature center and two wildlife watch towers for visitors. The Ouachita National Forest is home to many different species of plant and wildlife. There are three interpretive trails, toilets and drinking water available, but few recreational facilities. It’s truly a chance to get back to nature. Come to the nature center representing Lake Eufaula’s wildlife. Explore the exhibits and displays, and get a glimpse of the longhorn cattle and elk nearby. Learn more about the ecosystem of Oklahoma when you visit the nature center serving Chickasaw National Recreation Area. See wildlife, such as reptiles and birds of prey local to the area and get more information from the rangers and video presentations. This nature center, set in a wetland, offers many different experiences for nature lovers. Check out their calendar of events for education classes, a Star Party, Monarch Watch and more. Driftwood is one of the bests places to find eagles and loons from January through March, but there’s always planned activities at this nature center near Lake Tenkiller. This nature center just got a new home in 2013. When you climb to the top of the tower, you get a 360-degree view of the lake. You’ll find information about wildlife and the history of the area in the educational center. You can explore wildlife, geology and habitat when you visit this wildlife refuge in Southwestern Oklahoma. Although the bison are the most obvious species you’ll see, scientists have identified almost 400 different species of animals in the refuge. Elk, the river otter and burrowing owls have all been reintroduced in the area to prevent extinction. View more Oklahoma Nature Centers and Botanical Gardens.